Ok. I fell off the face of the planet for a while. Now, back to business! During this 4 month blogging hiatus I actually did knit and embroider a few things. Of course I don't have photos of them all but that's to be expected of me. In no particular order, here are a few of my most recent finished projects. 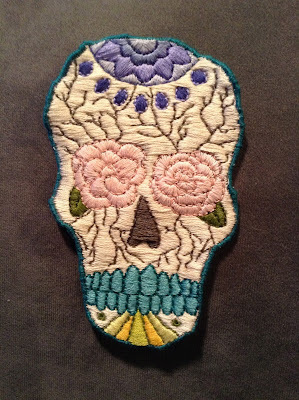 First up, my skull patch. I drew this pretty baby up and stitched it quickly. It was the perfect project to carry around and sneak a couple of stitches here and there. I don't know what I'm going to do with it yet. I'm sure I'll find a place for it somewhere. 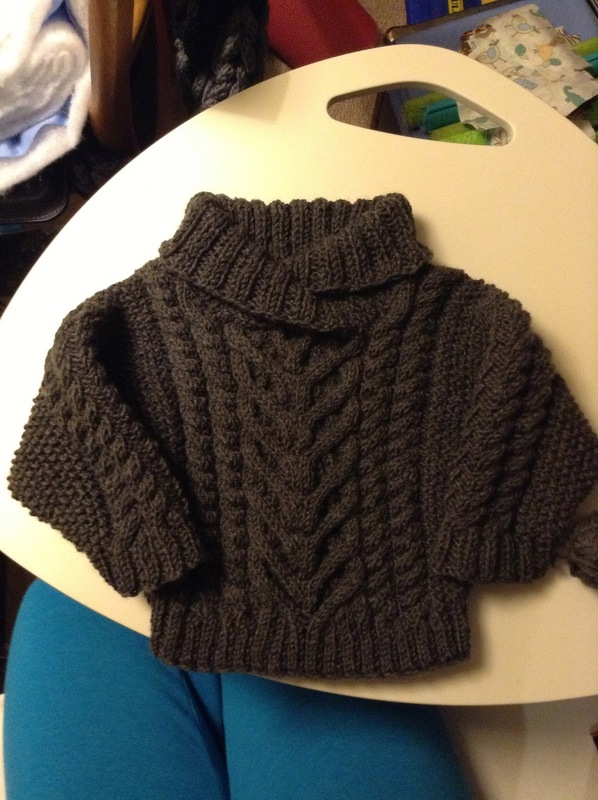 This was the little Fisherman's sweater that I made for my nephew. Unfortunately, it didn't fit him. At all. The sleeves were way too big. Now that the weather is starting to get a little cooler maybe I'll try it on him again. 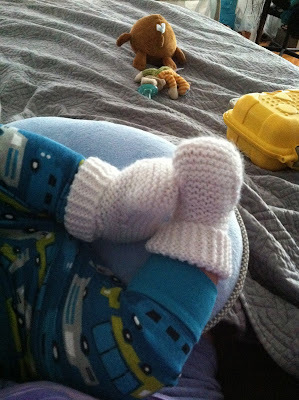 Speaking of my little nephew, here's an action shot of the booties I made him. They finally fit him. 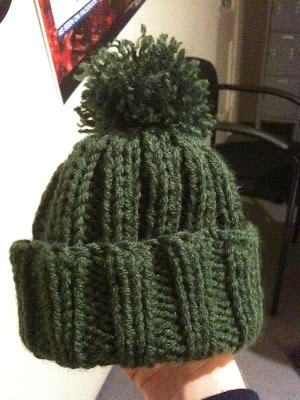 And also his little hat! I don't remember if I showed this one and I'm too lazy to look at back posts so here it is! 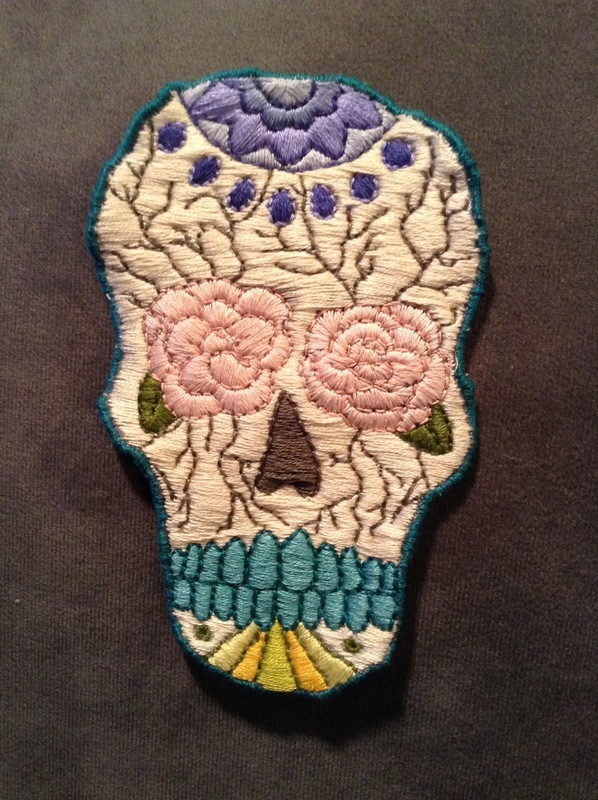 Do you do your embroidery by hand? It looks fantastic!